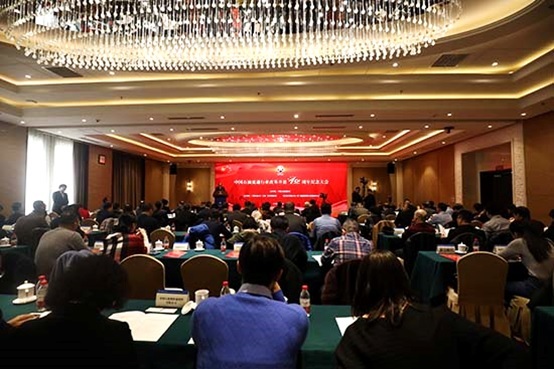 A conference to commemorate the 40th anniversary of the reform and opening-up of China’s petroleum circulation industry was hosted by China Petroleum Circulation Association (CPCA) in Beijing on 20 December 2018. 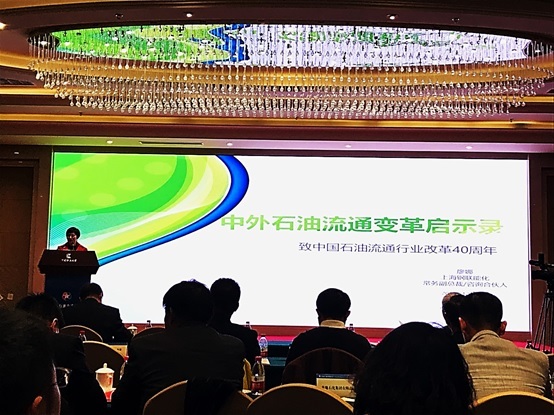 Ms. Liao Na, executive vice president of GL INFO, was invited to attend the conference and deliver a keynote speech entitled “Revolution Apocalypse of Petroleum Circulation in China and Foreign Countries”. 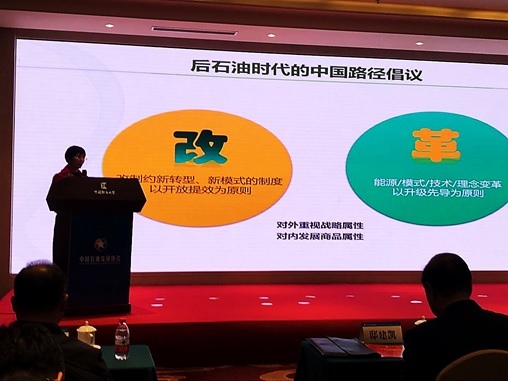 Tracing back the previous development path of the petroleum market and the history of different countries, Ms. Liao analyzed the reform process and experience of the petroleum market in various development stages. She prospected the future development trend of the oil market and suggested some ways of choices in the future. Ms. Liao believes that price is the key factor of the whole market reform, and it is also the driving factor in the whole circulation sector. She urges to link up the reform process of oil market across the world to the price and conclude the difference between countries. Which path should we take to carry out the reform in the later part of oil era? Ms. Liao has given her views on “Gai Ge”(Transformation and Change), a Chinese word meaning reform. “Gai”(Transformation), means the removal of obstacles, avoidance of bureaucracy that constraints transformation and new development model, with opening-up and high efficiency as the principle. “Ge” (Change) , means innovation, making changes in the energy structure, model, technology and concept, guided by the goal of upgrading and creating leading edges in the market. How to strike a balance between the strategic attribute and commodity attribute of petroleum market in China? We should pay more attention to the strategic attribute externally, while constantly developing its commodity attribute internally to create conditions for further development, Ms. Liao said. This will also be focus of GL INFO’s deliberation of the reform of the petroleum circulation industry at next stage. In addition, Ms. Liao expressed her views on enterprise reforms. Enterprises only have to make two choices, either to defend or to launch an offensive. For defense, enterprises can shut down inefficient production capacity in time and optimize their management system, as the petroleum market is undergoing a campaign of backward capacity elimination and innovative cooperation. For offense, enterprises can grasp market opportunities to extend their footprints across the industrial value chain and improve their efficiency. Finally, Ms. Liao expressed her own expectations for the future oil market. "Please join me to embrace the next40 years and I wish that China’s influence would break new ground in the next 40 years." The conference was co-organized by the School of Business Administration (Beijing) of China University of Petroleum and the “One Belt One Road” Research Center of the School of International Trade and Economics of the University of International Business and Economics. Jiang Zengwei, former vice minister of the Ministry of Commerce and former president of China Council for the Promotion of International Trade (CCPIT), Mu Li, former deputy director of the All China Federation of Supply and Marketing Cooperatives (ACFSMC), Zhang Yuqing, former deputy director of the National Energy Administration (NEA), Di Jiankai, president of the CPCA, Xu Chengtao, an instructor dedicated in Party Construction, Liu Decheng, director of the Circulation Industry Promotion Center of the MOFCOM, Ding Zhimin, deputy director of the Judicial Reform Division of the NEA, etc. attended the conference. 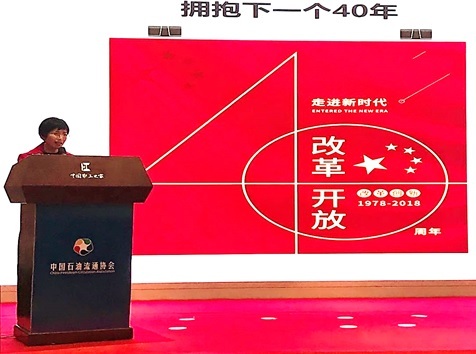 At the same time, the conference presented awards of “Leading Enterprises”, “Leading Figures of Private Enterprises” and “the Most Influential Foreign-Funded Enterprise” in China’s Petroleum Circulation Industry during the 40 Years of Reform and Opening-up. Liang Qingzhi, deputy general manager of CNOOC Refining & Petrochemicals, Sun Hougang, general manager of China Marine Bunker (Petro China) Co, Zhang Guilin, party secretary and chairman of Henan Daqiao Petrochemical, Yang Xiaoping, chairman and president of BP (China) Investment Co and Lu Feng, deputy general manager of the Shanghai International Energy Exchange spoke as representatives of the leading enterprises at the conference.